Forest Grove, OR – SakéOne, America’s premium saké company, has released its second new imported saké for the year called Kasumi Tsuru, adding to the impressive domestic and imported portfolio of the company. The saké category continues to climb in the United States, with over 100% growth in the last eight years1, as consumers learn more about this increasingly trendy and versatile beverage. Kasumi Tsuru, a small artisan saké brewer in the Hyogo Prefecture founded in 1725, has earned the reputation for brewing some of Japan’s finest examples of Kimoto style saké. The Kimoto method, a traditional technique developed in the early 17thcentury, involves a labor-intensive way of making the yeast starter, called Moto. This produces a saké that is deep and layered, with a unique sense of lightness and refinement. Kasumi Tsuru Kimoto Extra Dry Saké, available nationwide at a suggested retail price of $30 per 720 ml bottle, compliments a wide range of light to medium-bodied foods such as poultry, seafood, sashimi and salads, and can be enjoyed cold, warm or hot. The saké is also available in 300 ml and 1.8 liter bottle sizes. “We are very excited to bring Kasumi Tsuru’s Kimoto style saké to America,” states SakéOne President, Steve Vuylsteke. “The richness and complexity of this traditional and unique saké style is a great match for the diverse types of cuisine found in the United States. The addition of Kasumi Tsuru to our broad portfolio is further evidence of our commitment to being the number one choice for premium saké and saké education.” For more information, please visit www.sakeone.com. SakéOne was founded in 1992 as a joint partnership with Momokawa Brewing Japan originally as an importer, later to be the original American operated Kura (brewery). 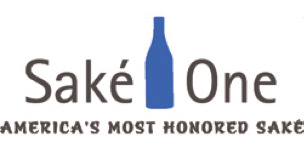 SakéOne is the leading producer of “Ginjo” (premium) grade sake in the United States and today produces premium sakés under the Momokawa and G labels as well as innovative new products, such as the fruit-flavor infused saké under the Moonstone brand, in addition to its imported brands. Most recently, SakéOne released SakéMoto, a smooth and slightly dry sake with rice from the Yamaguchi prefecture, in addition to their newest American produced genshu saké, g fifty. SakéOne distributes its saké in all 50 states, Canada, Mexico, South America and the Caribbean. A leader committed to saké education at the wholesale, retail and consumer levels, SakéOne is focused on expanding the enjoyment of premium saké in the United States. For more information, visit SakéOne’s website at sakeone.com.